Designer discount emporiums have long been behind the times in terms of the Internet. Many of us do our shopping online, but design-for-less companies are largely missing from the digital landscape. 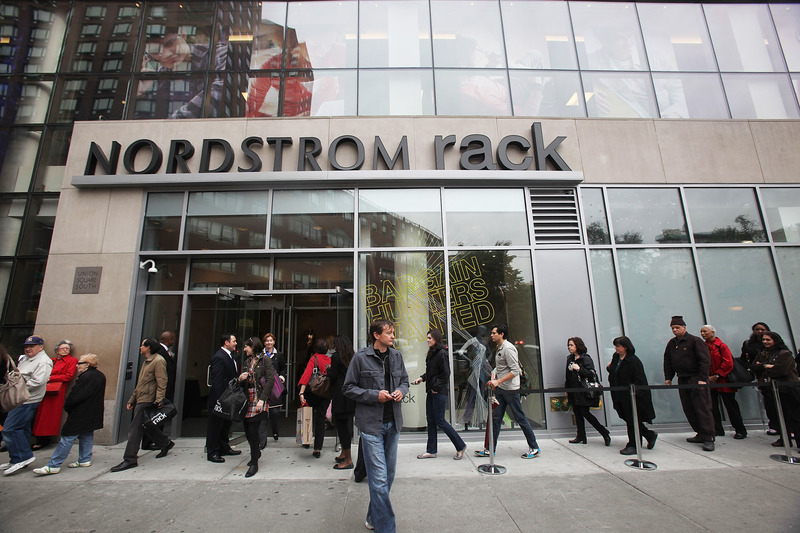 The times, they are a-changin' — Nordstrom Rack has released an e-commerce site! Nordstrom Rack has been around for 25 years and offers Nordstrom merchandise at a serious discount. The website, powered by Nordstrom HauteLook, will offer the customers the same benefits as the brick and mortar locations: Nordstrom merch for 30-70% less than the retail price, and the opportunity to participate in flash sales. The company quietly launched HauteLook, a members-only discount site, in 2012. Nordstrom Rack and HauteLook now share a website, where you can toggle back and forth between services. Nordstrom Rack is still available without a membership, while HauteLook requires you to sign on in order to browse. But just like other discounted merchandise stores, every Nordstrom Rack has something different. So for now, you may see something online that you won’t be able to find in your local store or vice versa, but Nordstrom has found a way to regulate that. Soon, the site will also have a feature that will tell shoppers if their find is available in a store near them. The site will also make shopping easy by offering free shipping over $100 and returns to a physical store or the site within 90 days. Sounds pretty convenient to me! They may have been late to the online shopping party, but designer discount megastores appear to be catching up. Loehmann's is re-launching as an online-only business after shuttering their stores earlier this year, and the Nordstrom Rack site is off to a good start. Similar businesses really need to step up their web game if they want to attract to a younger demographic. Welcome to the Internet, Nordstrom Rack!